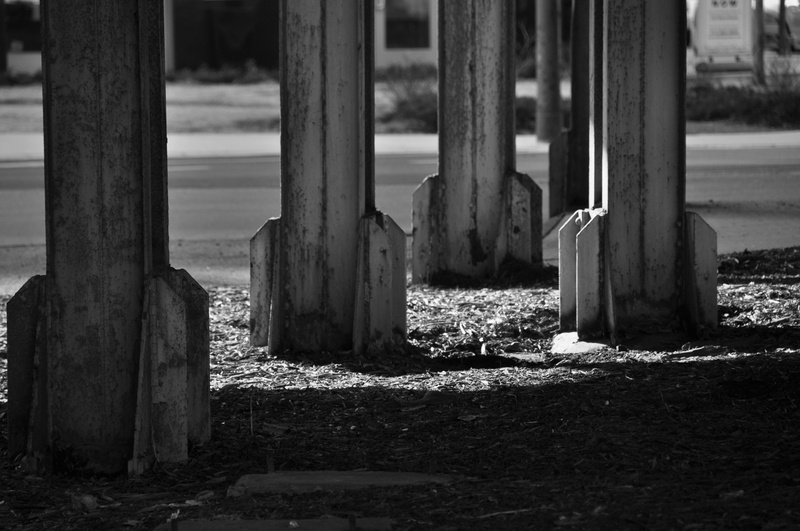 Here is a photo of the support pillars of the rail line that heads into Chicago Ogilvie Transportation Center. This photo was taken near Canal and Fulton. This entry was posted in Bridges, Chicago. Bookmark the permalink.